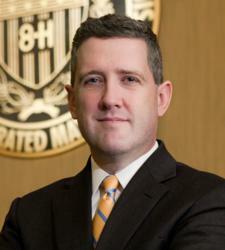 Federal Reserve Bank of St. Louis President James Bullard gave remarks Thursday on The Feds New Regime and the 2013 Outlook, during an economic forecast luncheon sponsored by the Wisconsin Bankers Association. During his presentation, Bullard discussed recent changes to U.S. monetary policy. He noted that the policy rate has been near zero since December 2008 and that the Federal Open Market Committee (FOMC) has promised to maintain the near-zero rate into the future, so-called forward guidance. In December 2012, the FOMC replaced the fixed-date forward guidance with a threshold approach. Bullard discussed the differences between the recently adopted threshold approach and the FOMCs previous fixed-date approach. Regarding the Feds balance sheet policy, he noted that the Committee has promised to maintain an aggressive asset purchase program. On the whole, he said that he views the overall monetary policy stance as more accommodative today than it was six months ago. Bullard also shared his views on the outlook for the U.S. macroeconomy. I have argued that the U.S. potential growth rate is lower today than it has been in the recent past, about 2.3 percent, he said. Bullards forecast is that real GDP growth will be faster than potential, at around 3.2 percent in both 2013 and 2014. He attributed this faster growth to three main factors: easier monetary policy, reduced headwinds and reduced uncertainty. He added that he believed unemployment will fall and inflation will remain near target. Before December, the FOMC stated that the policy rate would likely remain near zero until mid-2015. This created a pessimism problem for the Committee, Bullard said. He explained that the date could be interpreted as a statement that the U.S. economy is likely to perform poorly until that time, which he has called an unwarranted pessimistic signal. However, he noted, The Committee did not intend to send such a signal. Rather than using a given date, Bullard stated that the FOMC has now changed its forward guidance to a description of economic conditions at the time of the first rate increase. Such a dependency on economic conditions is known as state-contingent policy. Tags: 2013, Bullard, Discusses, Economic, Feds, Louis, Monetary, Outlook, Policy, Recent, U.S.